The Fund for Lake Michigan is supporting Milwaukee Riverkeeper’s work with the Village of Menomonee Falls. 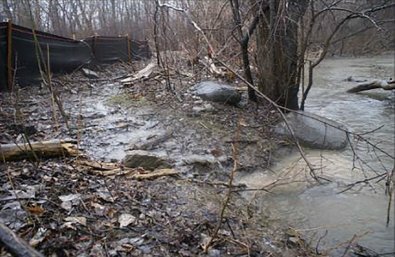 Funding from the Fund for Lake Michigan will be used to stabilize and restore the stream bank in Rotary Park, a popular 60-acre park located at the confluence of the Menomonee River and the Nor-X-Way channel. The site has been identified as a significant contributor of sediment loading.